We all have heroes that inspire and motivate us, even nutty photographers like me. I recently had the honor of meeting one of my own heroes, Richard Bernabe, at a workshop he held in Great Smoky Mountains National Park. (If you ever get the chance to attend one of Richard’s workshops, do it!) It was a huge step for me to make a trip like this all alone. Was I really brave crazy enough to venture off into the woods for a week with a bunch of strangers? You bet! I was eager to sharpen my creative eye and couldn’t miss the chance to learn from a true master. So I packed the car, kissed my kids good-bye and headed south. Excited doesn’t even begin to describe how I felt on the two day drive to Tennessee! Waking up to this view from my room…magical! 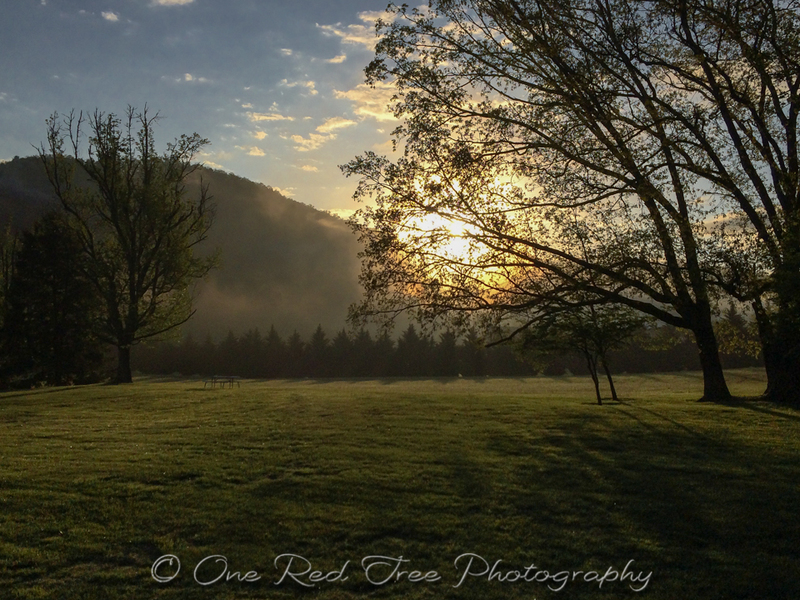 I arrived a day early to give myself a chance to settle in, explore a little and just inhale the beauty of the Great Smoky Mountains. Waking up that first morning to see the sunrise burning through the mist was simply surreal. I had to pinch myself to believe I was really here and doing this. Yay me! 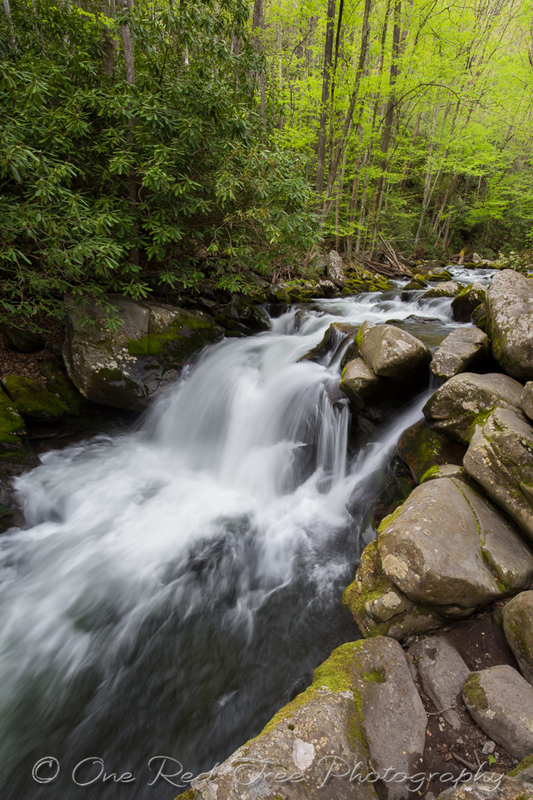 Spring awakens in the Smokies. Sunday afternoon was the first meeting of our group; seven adventurous photographers gathered around our esteemed teacher. Richard is as charming as he is talented, and the group seemed to hit it off immediately. We packed up our gear and headed out for the first of many excursions that would lead to great photographs, endless laughter and wonderful new friendships. So begins my story of The Great Smoky Mountain Adventure. 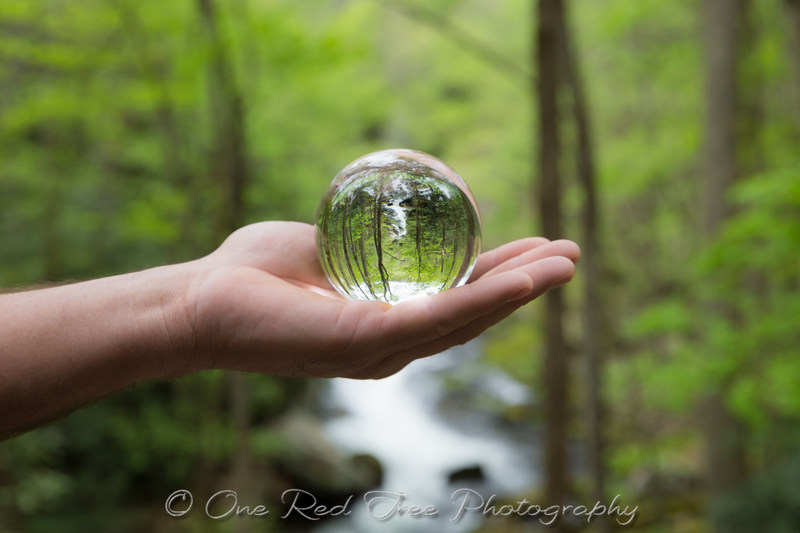 I didn’t need my crystal ball to know this was going to be one incredible journey! Stay tuned!